Throughout the Leeu Collection properties there are many spaces available to enable us to create unique venues that match your criteria, whether it is for a casual picnic or a stylish cocktail party, a leisurely lunch with friends or a formal sit-down dinner. You envisage it and we will make it happen! Please contact our events coordinators in order to arrange your bespoke meeting or event at any of our properties. Phone +27 (0) 21 492 2475 or email events@leeucollection.com for reservations. 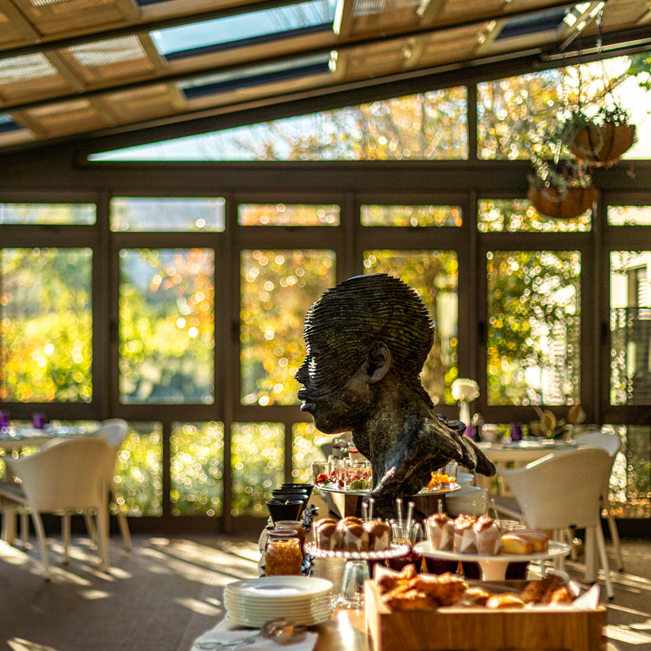 The well-appointed venue can accommodate up to 60 guests (cocktail) both inside and on the terrace overlooking the beautiful valley and mountain landscape for a variety of private parties, exhibitions and product launches. Press briefings, seminars, business meetings and management think tank sessions for up to 20 guests can be accommodated in boardroom, schoolroom or U-shaped seating. Cinema seating can accommodate up to 60 guests. The informative tours provide an opportunity to connect with art and nature in serene and meditative spaces with exceptional views. Analjit Singh, the Leeu Collection’s founder, personally curated the collection at Leeu Estates, which features predominantly life-sized bronze sculptures by Angus Taylor, Deborah Bell, Dylan Lewis and Otto du Plessis, among other well-known mainly South African artists. Relax afterwards over a traditional afternoon tea or tea with scones and homemade jam. Bookings can be made for group sizes from two to 10 guests by emailing events@leeucollection.com. Whether it’s a pre-wedding pamper day, a year-end function or a office team building come relax and rejuvenate with one of our group packages at Leeu Spa. You can also contact us via email at events@leeucollection.com or call +27 (0) 21 492 2475. 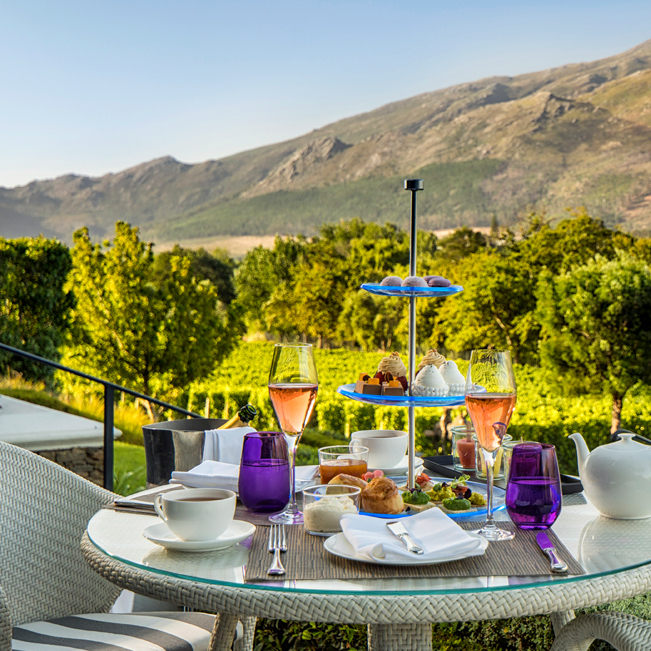 The beautifully laid out Bokkie Garden with its stunning mountain, valley and vineyard vistas is a serene space where guests can reconnect with nature and one another. It also creates the perfect setting in which to enjoy a leisurely picnic. Relax on a blanket and comfy cushions on the lawn next to the pond, with a picnic basket filled with delicious savoury and sweet treats and a complimentary bottle of chilled white wine – trust us, life does not get better than this! Book your picnic basket by calling +27 (0) 21 492 2475 or email events@leeucollection.com at least 48 hours in advance to book.